Cold Dude Computers: Club Penguin: Rookie has a New Background! 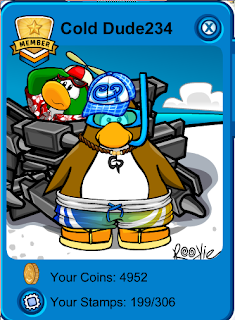 Club Penguin: Rookie has a New Background! As we all know the Underwater Expedition 2012 started today on club penguin! some of you might not know that rookie has came but, he has a new BG as well! look! (NOT an edit) Well, that must HURT! Lol, Do you like Rookie's new BG? Leave a comment and let us know! Very happy that you are enjoying!